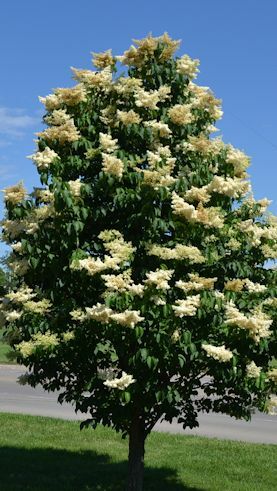 A very large shrub or small tree with stiff, spreading branches developing a somewhat oval-rounded to vaseshaped crown. Large showy flowers. Attractive winter fruit display. The largest tree in North Dakota is 45 feet tall with a canopy spread of 39 feet.